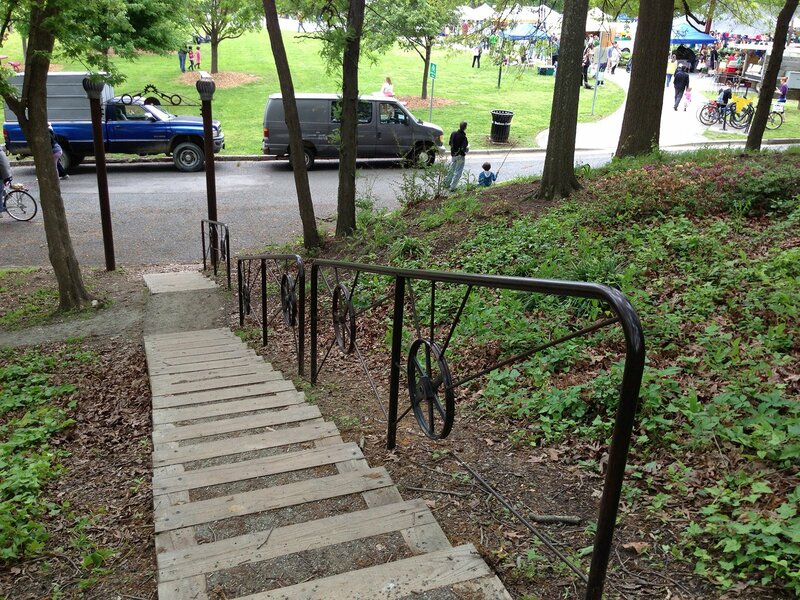 If you park in the Measurement, Inc lot to go to the Farmers Market, you already know there’s a new set of railings on the main stairs with an entry arch at the bottom. It’s a collaboration between Liberty Artist Jackie MacLeod and Monkey Bottom Gallery owner and artist Joe Galas. For years Dale Evarts and his wife Betsy had brought Dale’s mother, Audrey to the Farmer’s Market Saturday mornings. 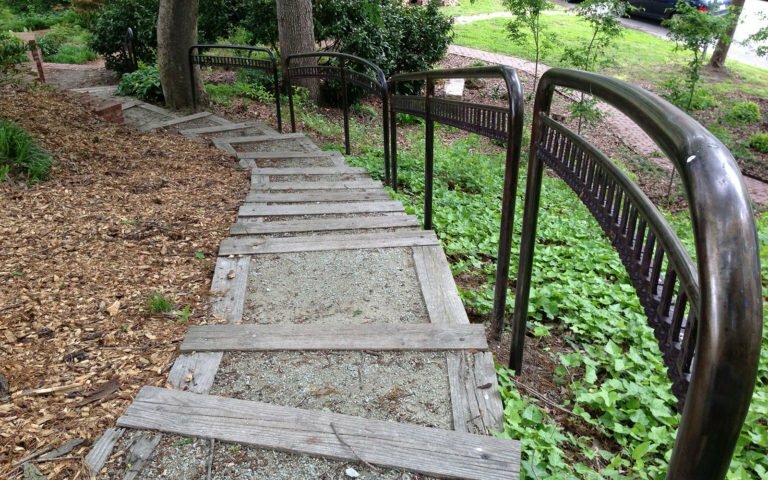 Audrey had both a hip and knee replacement, so it was hard for her to navigate the stairs, and every week she would say “It would really be good to have a railing there”. And every week Dale would say “Yeah, Mom, someday we’ll have one”. 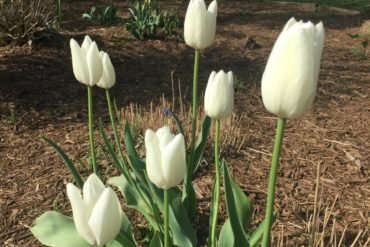 After Audrey died unexpectedly last fall, Dale and his sister began talking about it. 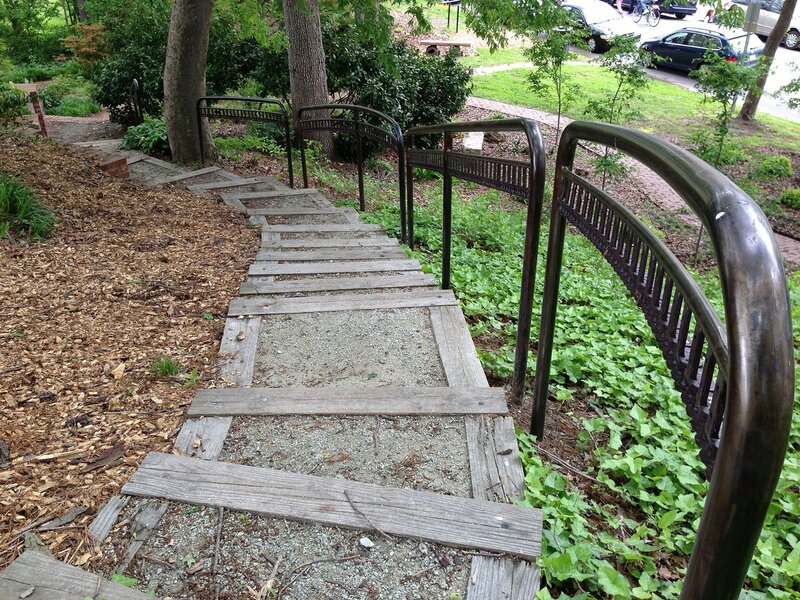 As it happens DCP had wanted to install hand rails ever since volunteers had built the three stairways down the hill. They’d already enlisted Jackie and Joe to come up with a design, but had only been able to raise half the cost. When Dale saw the drawings he knew immediately that Audrey would approve. The reason for his enthusiasm was that for 20 years (1965-1985) Audrey had run Eastgate Hardware Store in Chapel Hill (most unusual for a woman at the time), and the recovered metal components in the design reminded Dale of the old hardware from factories and mills in the area. He wrote a check for the balance on the spot. Now Audrey’s legacy will become a permanent fixture at DCP. 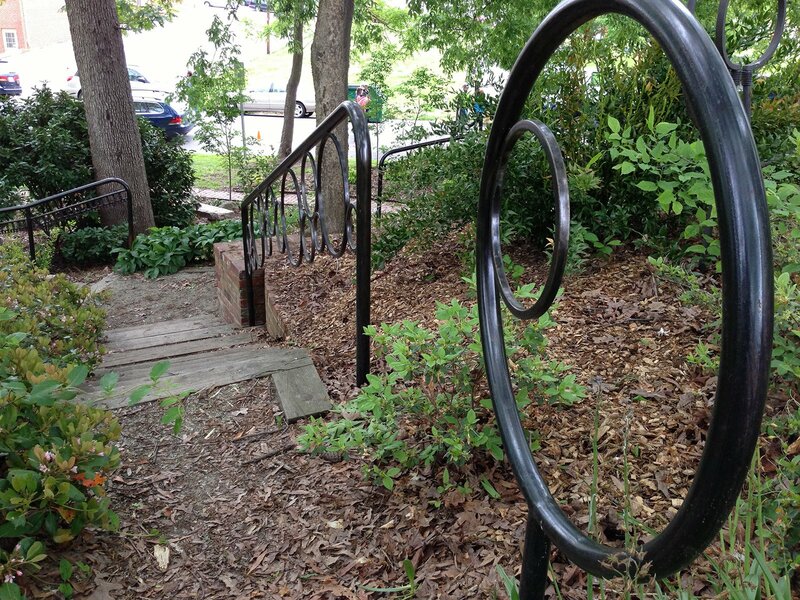 Two more sets of railings on the other stairs will be installed over the next few months.